As the Federation recovers from the Borg invasion, the U.S.S. Titan is ordered to resume its deep-space exploration. 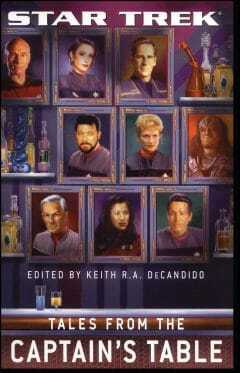 On the planet Droplet, which is made mostly of water, Lavena and Riker are cut off from the crew and feared lost. 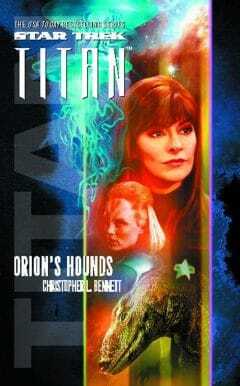 Troi must face a life-changing event without her husband, while the crew must brave the crushing pressures of the deep. As the Federation recovers from the devastating events of Star Trek: Destiny, Captain William Riker and the crew of the U.S.S. Titan are ordered to resume their deep-space assignment, reaffirming Starfleet's core principles of peaceful exploration. But even far from home on a mission of hope, the scars of the recent cataclysm remain with them as they slowly rebuild their lives. The planet Droplet is a world made mostly of water without a speck of solid ground. Life should not exist here, yet it thrives. Aili Lavena, Titan's aquatic navigator, spearheads the exploration of this mysterious world, facing the dangers of the vast, wild ocean. When one native species proves to be sentient, Lavena finds herself immersed in a delicate contact situation, and Riker is called away from Deanna Troi at a critical moment in their marriage. 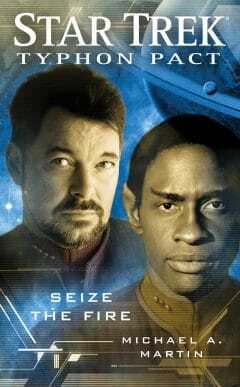 But when good intentions bring calamity, Lavena and Riker are cut off from the crew and feared lost. Troi must face a life-changing event without her husband, while the crew must brave the crushing pressures of the deep to undo the global chaos they have triggered. 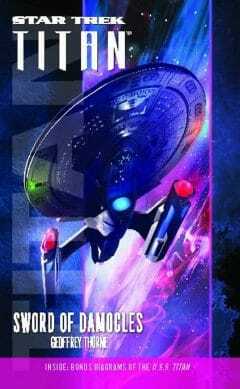 Stranded with her injured captain, Lavena must win the trust of the beings who control their fate -- but the price for Riker's survival may be the loss of everything he holds dear. 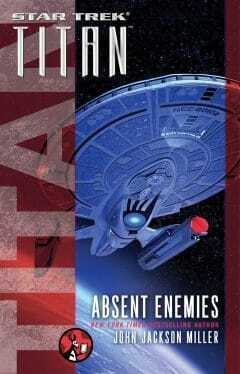 Other Books in Series "Titan"
In the wake of the assassination of the Romulan Senate and the chaos and power struggles that threaten to destroy the Romulan Star Empire, Captain William Riker and the U.S.S. Titan head to Romulus to set up negotiations among the powerful factions, unaware that remnants of the Tal Shiar, the notorious Romulan intelligence service, are threatening to unleash a bloodbath. 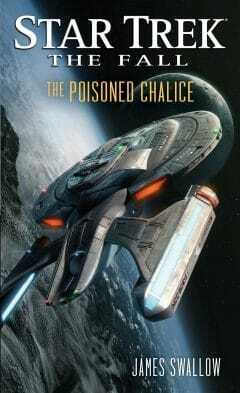 Investigating the disappearance of a secret Romulan fleet, the U.S.S. Titan is unexpectedly propelled more than 200,000 light-years into the Small Magellanic Cloud, home home to the Neyel, with whom the Federation has had no contact in over eighty years. As the U.S.S. 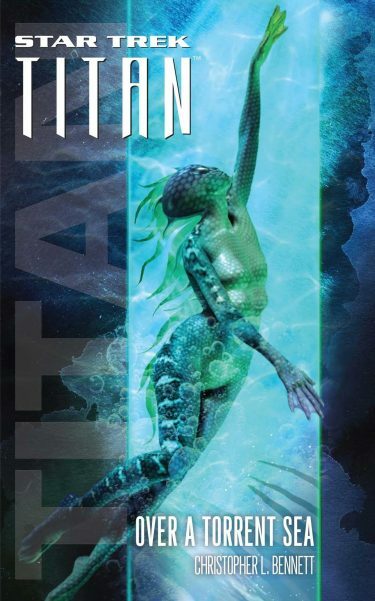 Titan ventures beyond the outermost reaches of known space, the telepaths in her crew are overwhelmed by an alien cry of distress, leading the ship to the scene of a shocking act of carnage: a civilization of interstellar "whalers" preying upon and exploiting a familiar species of sentient space borne giants. 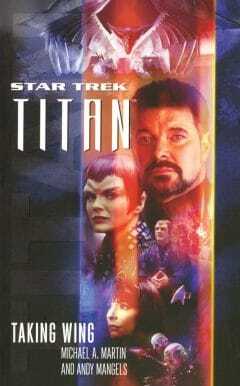 Stumbling upon a civilization torn between science and faith because of a mysterious, unexplained phenomenon known as the Eye that is visible in the sky over the planet, Captain Riker and the crew of the Titan become caught in the middle of the conflict as they search for the hidden truth about the Eye. The Titan crew finds the remains of a ship. Its recovered computer core is not just a computer, but a thinking, reasoning artificial intelligence and it comes from a civilization composed entirely of sentient computers. Eons ago these artificial intelligences were charged to be the first line of defense against The Null. With a menacing Typhon Pact fleet nipping at his heels, Riker must not only stop the Gorn warriors but also plumb the secrets of an ancient terraforming artifact. But of everyone serving aboard Titan, Tuvok may be the only one who understands how dangerous such planet-altering technology can be, even when used with the best of intentions. While continuing to search for an ancient civilization’s long-lost quick-terraforming technology, Titan’s science specialists encounter the planet Ta’ith, home to the remnant of a once-great society that may hold the very secrets they seek. But this quest also takes Titan perilously close to the deadly Vela Pulsar, the galaxy’s most prolific source of lethal radiation. Titan is ordered back to Earth on emergency orders from the admiralty. 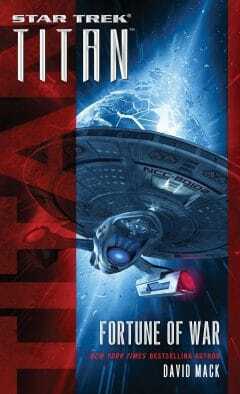 Riker finds himself drawn into a game of political intrigue pending an investigation into a heinous terrorist attack. 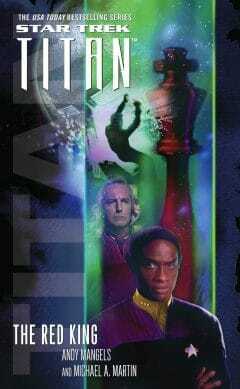 Meanwhile, Tuvok is given a series of clandestine orders that lead him into a gray world of secrets, lies, and deniable operations. 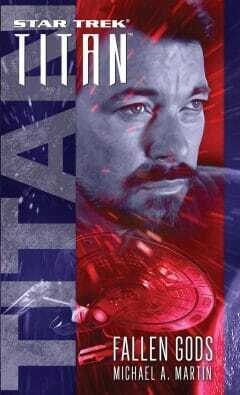 Titan is ordered to Garadius IV, a planet Riker knows all too well from an unsuccessful peace mission when he was still first officer of the U.S.S. Enterprise. But this time, he finds a mysterious new situation: one with the potential to imperil the entire Federation. One of the warring parties has simply vanished. 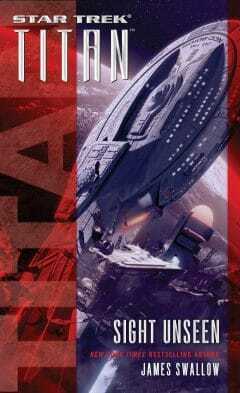 Titan sets out toward the edge of Federation space to tackle its latest assignment: to work with an alien species known as the Dinac, who are taking their first steps into the galaxy at large as a newly warp-capable civilization. But when disaster befalls the Dinac, the Titan crew discovers they have unknowingly drawn the attention of a deadly, merciless enemy. Twenty years have passed since the interstellar scourge known as the Husnock were exterminated without warning by a being with godlike abilities. Now a discovery by a Federation cultural research team has drawn the attention of several ruthless factions. Every belligerent power in the quadrant hopes to capture the Husnock's lethal technology.